▲ German Cover for Look Who's Back. Provided by Wikipedia. 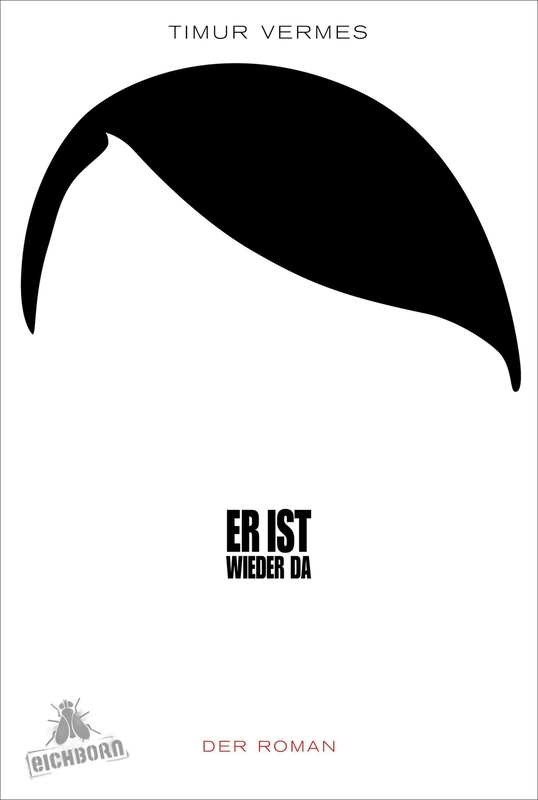 Timur Vermes’ novel Look Who’s Back (2012) begins with Adolf Hitler waking up to find himself in modern Germany with no knowledge of anything that has happened post-1945. The book tells the witty yet queasy tale of a genocidal murderer who is supposed to be long dead, climbing the social ladder once more to enter German politics. Satirical and moral in nature, Look Who’s Back is the story of how Germany came to embrace Hitler in 1933 and now again in the 21st century. Adolf Hitler is a grave subject in Germany, where the wounds of war are still visible and where it is a crime to display photos of him in public. This, however, did not stop Vermes’ novel from reaching Der Spiegel’s bestseller list in 2012. It was later translated into 41 languages and made into a film of the same name in 2015, enjoying both domestic and international success. Even so, the question remains—why is a book about Hitler loved in Germany? The secret may lie in its scandalous nature, all wrapped under a layer of satire and dramatic irony. The subject is controversial, yet Vermes artfully navigates the topic. Once, Hitler “goes on a rant” about Jews during an interview, to which the host cautions they are “no laughing matter,” as in they should not be joked about. Hitler heartily agrees, but what he meant was that they are a serious problem, not in the way that the host cautioned. Never straying too far from political correctness, Vermes finds what wit he can in such quandaries. Perhaps that is one of the reasons why Germany was so receptive to this novel when it was published. It is the biography of a modern-day Hitler who never existed, who—in the novel—is now a comedian. To imitate his style and his personality, Vermes read and studied Hitler’s writing and speeches. His efforts gave rise to a dark humor that both captivates some readers and repulses others. The book has its ups and downs. It is enticingly enjoyable at times and yet at others it can be painfully slow with excess dialogue. However, the core of this book’s appeal lies not in its heavily padded plot, but in its chilling parallels to the real world. Hitler’s tirades in the book are consumed as comedy but secretly admired by Germans who have lost patience with the modern politics dominated by the elite. In want of a strong and outspoken leader they turn to Hitler, who to them is a mere impersonator, in a fashion that could remind some of America last November. Look Who’s Back may not be a classic. Neither is Suzanne Collin’s The Hunger Games (2008), yet people read it all the same. The novel is not known for its Murakami-esque expressions or Clancy-like action sequences. Instead, if one enjoys satire and finds hilarity in mocking a face of evil, this book deserves a place on one’s reading list.